Such a cute video of tiny white Labrador dog puppies. Extremely cute guys, they are not running around yet. They are too small to do much, but they are still adorable and extremely cute. You will want to pick them up, they are so cute. 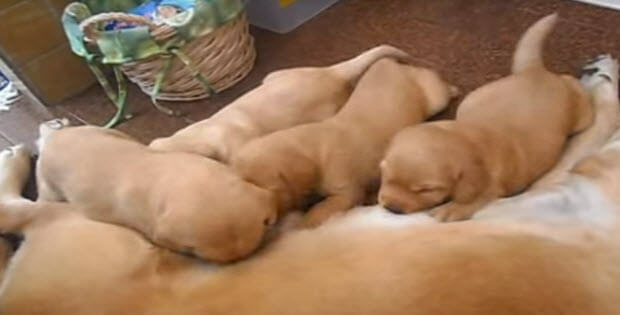 The mother Labrador is laying down patiently and feeding little fur babies. WOW! Have You Seen These Babies Meeting Their Pets ? You Will Think This is Epic When You See Babies Talking "Dog"
Love Puppies, Kittens and Babies? You are Going To Love This! They crawl over each other and it is just amazingly cute to watch. 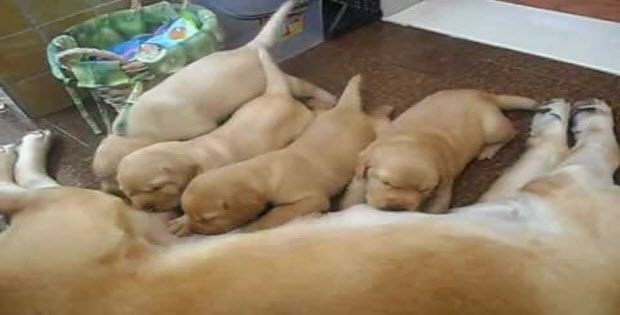 One part where one cute lab pup crawled over to the mother and there were two other puppies in the way which he crawled over to get to the “food”, pushing one of the lab brothers out of the way in the process. You just need to see this. The Words Can’t Describe The Transformation This Dog Went Through!